Try some round collar dress shirts on for size by Daniel Ellissa. 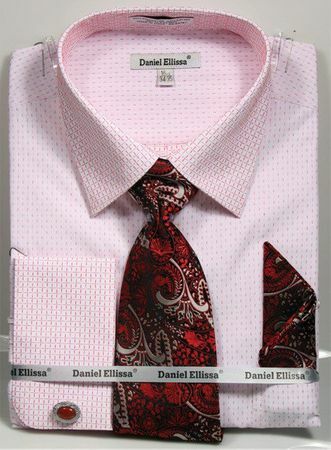 Daniel Ellissa specializes in Italian style fancy dress shirts for men who love their fashion style. This red mini pattern dress shirt features a pointed collar and french cuffs for added style. Made of cotton blend fabric.